Banner: Vijaya Krishna movies Presented by: Superstar Krishna Music: Ramesh Naidu. Cast: Superstar, Vijayanirmala, Jayanthi, Satyanarayana, Prabhakar Reddy, Gummadi, Jaggayya, Sreedhar, Pandaribaayi and others. 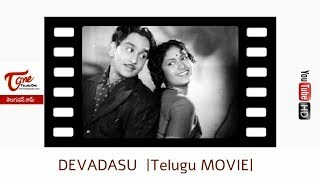 Devadas (Krishna) and Parvathy (Vijaya Nirmala) are child hood friends who become soul mates with the passage of time. 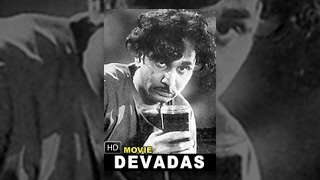 But Devadas's inability to act against the wishes of his parents separates the two lovers forever and Parvathy marries another Zamindar (Gummadi). A shipwrecked Devadas becomes a chronic alcoholic and befriends a beautiful courtesan Chandramukhi (Jayanthi). But even her unflinching devotion does not give him solace and he sets out to meet Parvathy for one last time. The story ends when Devadas dieing just few yards away from Parvathy's house.